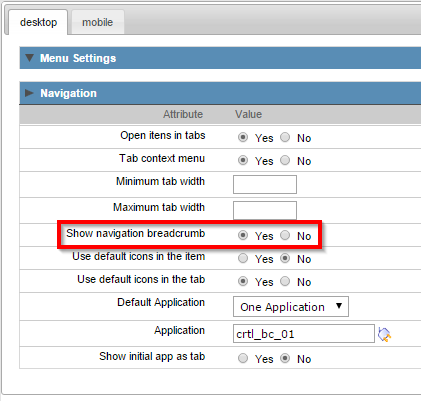 The menu inside Scriptcase 8.1 will offer the option Breadcrumbs display within applications, it will exhibit the navigation path allowing the end user to easily navigate through the applications. This option is often used and not much simple to create using only PHP coding on your application, within Scriptcase it is much more simple, all you need to do is check a simple option under the menu settings and your applications will display all the navigation path allowing the end user to easily navigate back to an application. 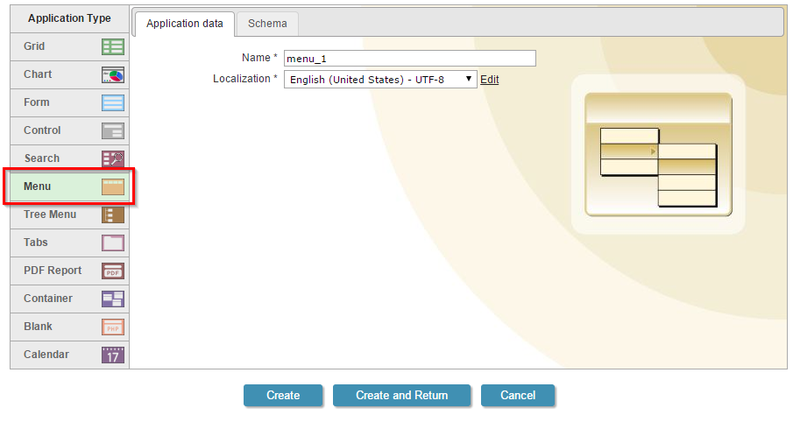 In this example we will see how to configure the menu to display the links applications browsed by the user. 2. Access the menu settings by clicking on the “Settings” item. 3. Access the Navigation tab and change the parameter “Show navigation breadcrumb” to “Yes”, and then change the other settings as the image below.